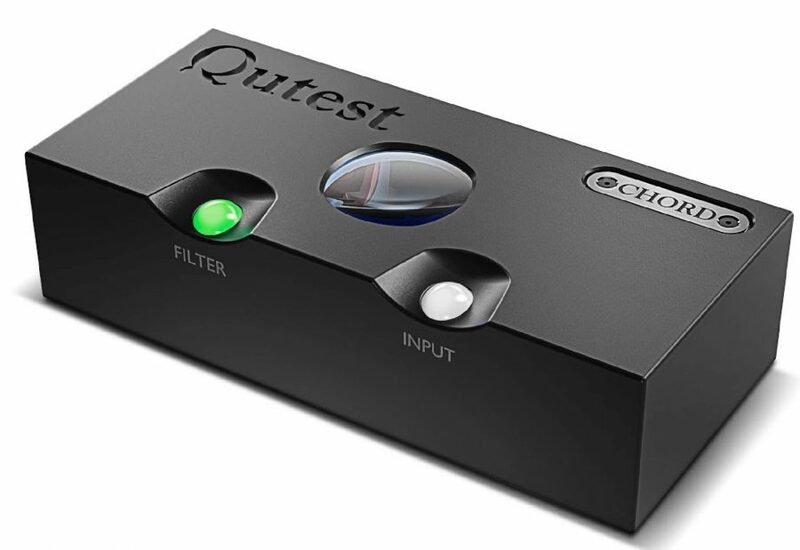 CES, Las Vegas, 9th January 2018: Chord Electronics proudly presents its latest creation – the Qutest DAC. And it’s adorable! Based on the latest proprietary Rob Watts’ FPGA technology developed for the Hugo 2 DAC/headphone amp, Qutest uses an all-new precision-machined aluminium chassis and includes several new features, including fascia controls. Claiming to be ‘the most advanced compact DAC on the planet’, Qutest is certainly a highly accomplished standalone device. It uses the same award-winning internal DAC architecture and proprietary software coding as the Hugo 2, and also offers Hugo 2’s unique user-selectable frequency-shaping filters and input selection controls. Qutest loses the headphone amplifier, rechargeable Li-on batteries and cross-feed functionality of Hugo 2, as well as £600 from the price tag. It features a galvanically isolated USB-B, optical and dual coaxial digital inputs, giving an instant upgrade to everyday audio devices plus the ability to modernise ageing digital source components. It also features RCA analogue outputs for connection to integrated amplifiers, pre-amps and headphone amps, plus high-resolution 768kHz-capable dual-data digital inputs for connection to Chord Electronics’ devices including the 705/768kHz-ready M-Scaler-technology BLU MKII digital/CD transport. Read the full ‘top secret’ press release here or get in touch to find out more.